Let’s take a trip in our time machine 5-years ahead to the year 2020 and check out the evolution of the lighting industry. In the year 2020: The lighting industry continues to face both amazing opportunities and grueling changes. LEDs have won the war and rendered traditional electric light sources irrelevant. A brutal commoditization war has kept down the costs of LED components and lamps. The industry has embraced significant new standards and technologies to the benefit of customers and end-users. In the year 2020, three key innovation areas now dominate the industry: Connected Lighting, Embedded Lighting, and Sustainable Lighting. Each of these three innovation areas will drive tremendous changes in the industry. But the real magic will happen in the connections between the three areas: The individual advances will start driving 2nd level innovations that are hard to predict. The best way to predict the future is to invent it. So over the course of the next three posts, let’s try to envision where we want to drive the industry. For example, spatial occupancy monitoring is a useful early “byproduct” of connected lighting systems. Inone example where occupancy sensors were installed in every fixture throughout an office building, monitoring which office spaces are occupied during a workday allows a building manager to reduce his janitorial services to only the spaces that were occupied – saving tremendous cleaning costs. Such “heat maps” of space usage enable a host of new service extensions in retail applications, healthcare, even parking garages. Plus a host of other systemic capabilities will find profitable application, such as environmental monitoring, daylight system integration, etc..
IP-networking standards and commodity hardware would be a boon for lighting, if the industry players could get out of their own way. Let’s imagine the lighting industry radically changes its ways and pulls itself together to establish lighting-specific communication and data standards. These standards will enable a flourishing of innovative control solutions. On an IP network, adding extra functionality to the devices adds only small incremental system costs: The network costs remain the same for any device without requiring specialized and proprietary lighting systems. So unlike the old paradigm of “controls companies” developing complete equipment packages and proprietary integration services, by 2020 the controls segment splits into two halves: Tech-focused companies specialized in innovative device technologies and service-focused companies specialized in the integration and implementation of those devices. Miniaturization is a big deal. The lighting industry seems to chronically undervalue the importance of simply shrinking the size of components, to either reduce the overall volume of a lighting component or minimize one critical dimension (such as an extremely flat driver). Miniaturization drives innovation in unexpected ways. For example, the reduction in size that occurred with mid-power LEDs has led to an explosion of skinny lines of light, edge-lit planes of light, and even micro-spotlights. This change alone is driving innovation in ultra-shallow surface-mount applications, such as integrated shelf lighting and surface mounted “downlights”. The next big area of innovation will be miniaturization of power supplies and drivers. Eventually, the industry will use techniques like VHF capacitors and multi-die driver packages to reduce the entire power conversion, driver and communications functions into a single, miniature SMT package. How small can you make a track spot or downlight…perhaps the size of a thimble? DC power grids provide an enormous opportunity for simplifying lighting systems, eliminating wasteful power conversion hardware throughout a lighting system. They also provide direct methods for connecting lighting systems to off-grid power generation and storage systems. But DC power can also simplify fixture design: If the fixture has only low-power, low-voltage connections, the safety requirements stemming around high voltage and high power should be reduced or eliminated, right? Plus LED systems pushing 200 lm/w effectively eliminate the problem of excess heat and fire hazard in most fixture types. 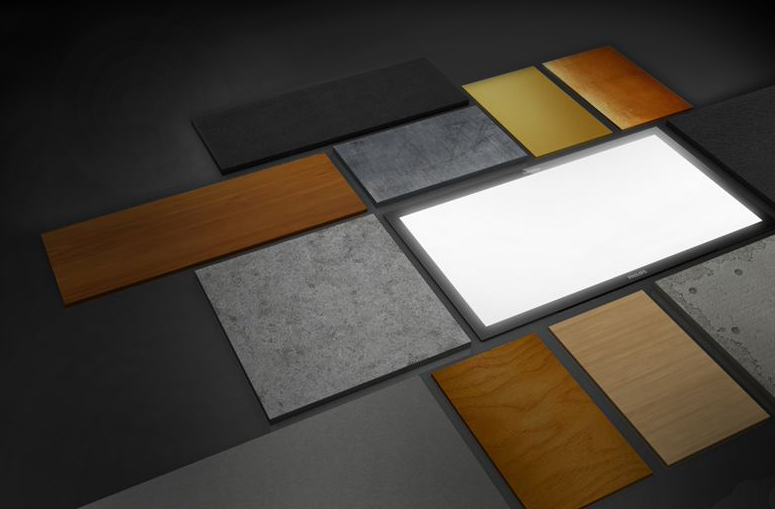 The new world of low power and non-existent thermal issues opens up opportunities for the radical redesign of traditional fixture paradigms and material selections. That is if the safety standards catch up with the technology. Modeling lighting systems via BIM will make it much easier to custom-design fixtures based on parametric variables. Manufacturers need to consider the fundamental flexibility of digital production tools – 2D laser cutters, punch presses, 3D machining, and additive 3D printing – when designing their product lines. In the year 2020 it will become possible (if not routine) to produce an entire fixture via flexible digital processes. 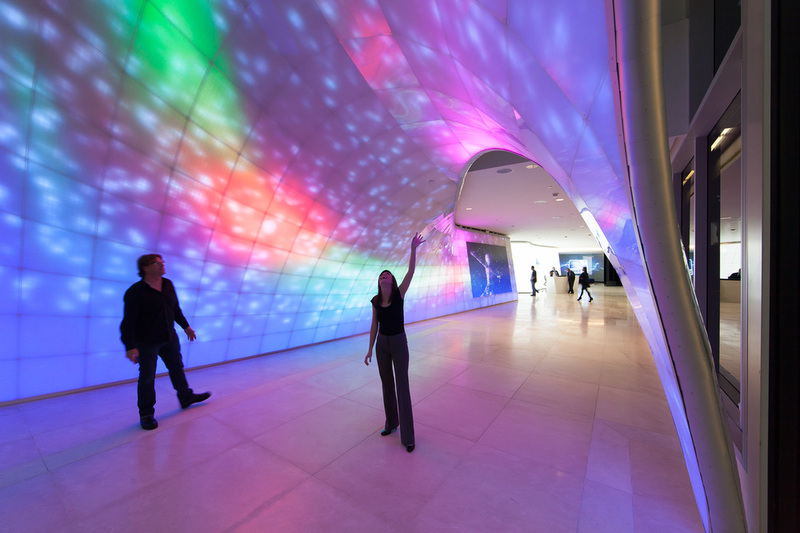 Architects want to treat light as a material. Today’s designers want to treat architectural lighting more like an embedded material than as a series of discrete objects. There is tremendous potential for this fusion of light + material, but custom integration of embedded lighting traditionally have been difficult to specify, risky to budget, and costly to install, limiting the broader adoption of such “embedded” lighting. LED and OLED lighting now makes it easier than ever to fuse light into building materials, opening up a creative new area of exploration for architects and interior designers. Imagine when you can cheaply embed matrices of miniaturized drivers into fields of LEDs on flexible substrates. You can apply these luminous sheets directly on building material substrates that can be cut in field while maintaining consistent drive currents. LEDs might even be treated like a coating someday. Leading architects are demanding more complex shapes, assemblies, and surface constructs; old-school lighting “fixtures” are increasingly difficult to use in these applications. Combining miniaturized parts, portable digital fabrication, and luminous materials leads to another intriguing opportunity: Manufacturing lighting products at a construction site. Most other building materials can be tailored to in-field conditions – so why can’t lighting evolve beyond its “objectified” legacy and create systems that open up application possibilities while making a contractor’s life easier? Circular Economy — What goes around comes around. The “circular economy” is a movement to stop the industrialized world’s bad habit of “take-make-waste” and instead to create endless circular flows of materials. The Circular Economy is effectively a very sophisticated strategy for “recycling”, but instead of the wimpy recycling approaches most consumers know, circular economy strategists are trying for real, extensive, and highly profitable flows of products, parts, and materials in endless loops. To achieve this vision, it takes coordinated effort to rethink product design, business models, and market processes. So how will the lighting industry adapt to such a future? Interchangeable parts for durable LED fixtures. Lighting fixtures have long been durable goods; lighting sources, on the other hand, have inherently been constructed as expendable, disposable items. The current and extremely lazy trend in the lighting industry for producing “disposable fixtures” simply cannot be sustained. Customers cannot bear the long term maintenance headaches of such short-term, wretched product management, nor can the environment. Standards programs like the Zhaga Consortium are critical to enabling the repair and reuse of durable fixtures long into the future. If you can repair a device, you keep it from having to be disposed of (or broken down into its constituent parts); a basic tenet to the Circular Economy. LEDs have plummeted in cost and it looks like the trend will only continue for the next several years. The upside to this is that it is readily possible to design LED engines that can run for literally hundreds of thousands of hours with zero light depreciation, by simply building in more LEDs than needed initially and having an intelligent driver either increase the current slowly or switch sets of LEDs. LEDs have been so cost prohibitive that no-one has explored this route yet, but I firmly believe you will see a proliferation of 100k hour lifetimes at L100. 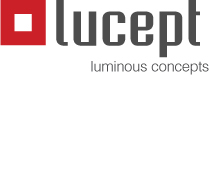 Yes, you read that right – 100,000+ hours with a perfect lumen maintenance. One of the tenets of circular economy thinking is that manufacturers will switch to providing services, not just “shipping boxes”. In the lighting industry, this leads to financial innovations such as “pay per lux” usage-based billing, leasing programs, and equipment end-of-life take-back programs. End customers want light, not expense capital equipment that is a pain to use and maintain. Monitoring actual usage, planned upgrades, maintenance, etc. becomes significantly cheaper with smartly designed connected lighting. Durable fixtures with modular designs and light engines that maintain impressive performance for extremely long time periods, maintained by the original manufacturer: Sounds perfect for developing a used market, right? If the industry takes simple steps now in terms of industry standards, very interesting alternative revenue streams may start to develop in 5-10 years, such as markets for 2nd-hand fixtures, light engines, etc. There are many examples of used markets in other industries that generate tremendous value. 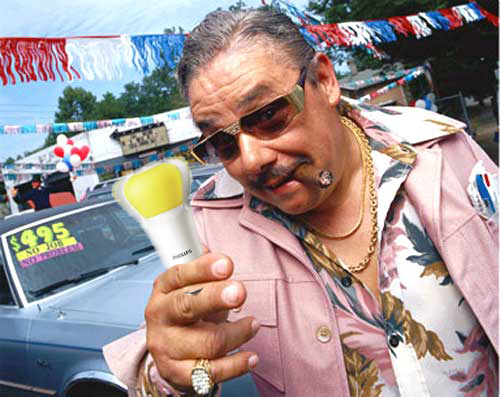 Let’s hope the lighting industry can avoid the hucksters, OK? On the other side of the coin from durable fixtures, there are many lighting applications where even basic LED technology outlives the application life (such as consumer lighting, fashion retail, restaurants, etc.). So why are we designing all lighting products to the same standards, using the same expensive materials? We will see a growing trend for designing “disposable” fixtures that minimize their material use and even use bio-based materials that simply compost into dirt at end of life. Imagine a classic A-lamp: The LED and driver are miniaturized into an assembly the size of a vitamin pill and the rest of the bulb could be readily built out of biodegradable materials. And it is conceivable that even the light engine might simply biodegrade, too, withelectronic circuits that simply dissolve and maybe even organic-based LED compounds. How’s that for reducing the end-of-life liability? What future are we designing? 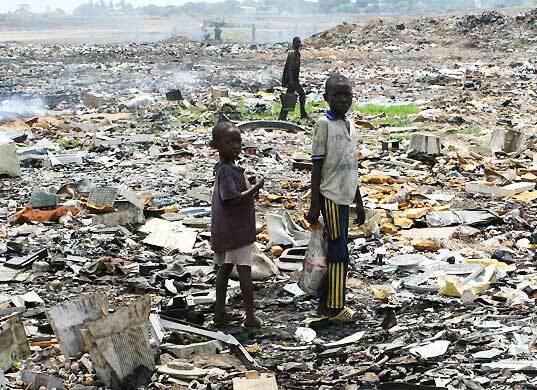 The computer and consumer electronics industries have left an appalling blight of electronics waste on our planet. So far, LED lighting has appropriated many of the same fundamental production methods and product architectures as consumer electronics. Yet there is no fundamental reason why LED lighting needs circuit boards that can’t be recycled, fixtures that can’t be disassembled, or entire product families intended as disposable “one time use only” junk. There are numerous innovative and fundamentally sustainable technologies out there that the lighting industry can adopt. But will the lighting industry move fast enough? Despite being given the twin gifts of LED technology and digital communications, the industry (including specifiers, manufacturers, and channel players like reps and distributors) has largely been resistant to any meaningful change in terms of applications or systems. LEDs have effectively replaced all other electric light sources, but little if anything else has been done to drive critical new industry standards that will enable second-level innovations. I think the root cause is that so many lighting companies refuse to participate in open standards, dooming themselves to commoditization. This statement is counter-intuitive for many in the industry: If a company keeps their control system proprietary, then they “own” the whole spec, right? Correct, but each company is then forced to recreate every component to form a complete lighting system, wasting resources developing many redundant and therefore commodity components, instead of investing resources in differentiated products + services that actually create meaningful customer value. I’m concerned that this redundant development of products starves the whole industry of capital for R+D. VC’s understand that the lack of industry standards wipes out the ability to “scale” innovations. The upstream component companies are largely suffering “profitless prosperity”, while the downstream players are all too small and geographically fragmented to offer any meaningful size. The loss of the replacement lamp business means that the entire lighting “pie” is going to shrink, forcing the big players in the industry to reinvent themselves or perish. It makes for an interesting future, does it not?